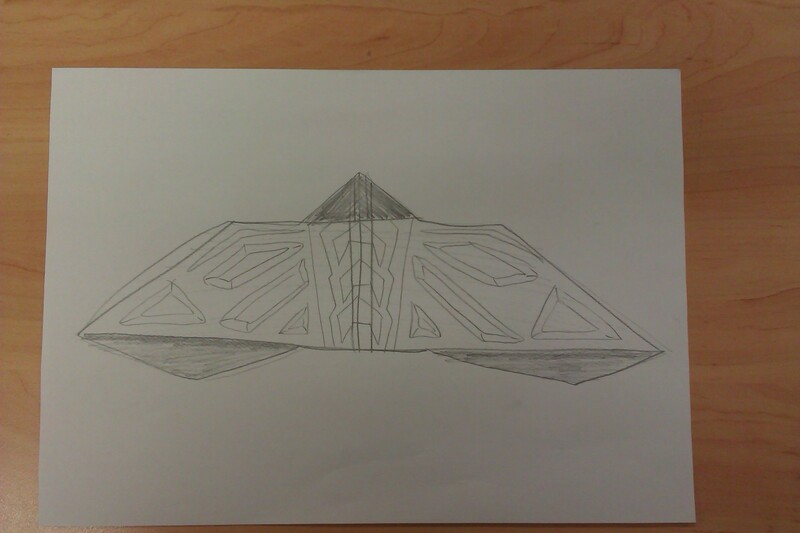 I started this project by looking for different plane/glider designs I could use. 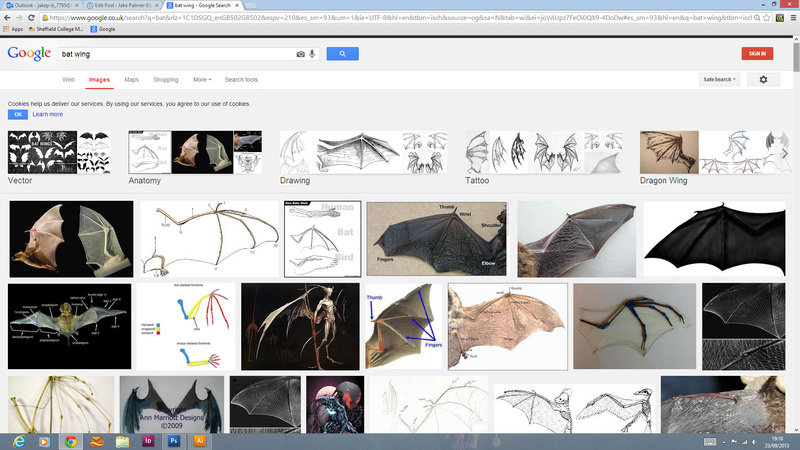 I looked on mainly on YouTube, but also on websites and forums to find a type that looks good and flies well. After searching and making different planes/gliders. I narrowed them down to the six prototypes below. 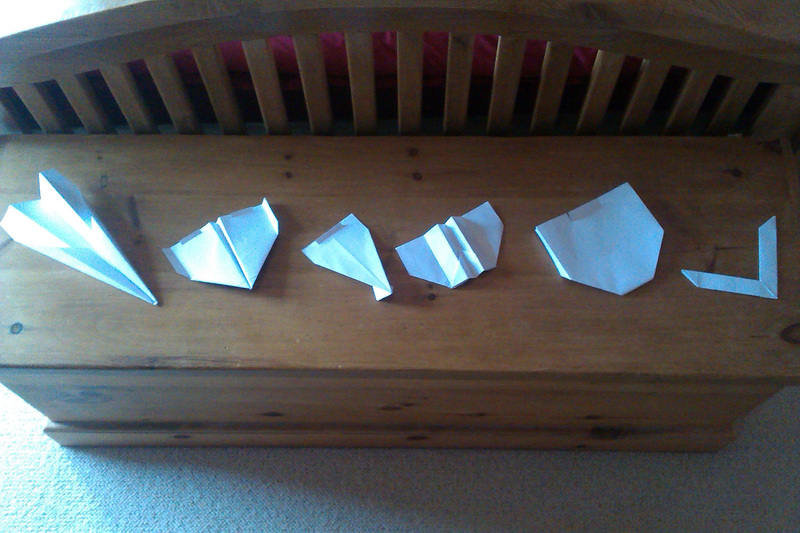 (From left to right): Basic paper plane. Flies okay, but not a very innovative design. Takuo Toda’s Sky King. This is the world record holder for paper planes, with a flight of 27 seconds, I haven’t tried to beat that time but it flies well and looks better than the basic plane. Glider with stands. I found this glider on YouTube. I like the fact it has stands, but it doesn’t fly so good indoors and is quite flimsy. My take on a glider. 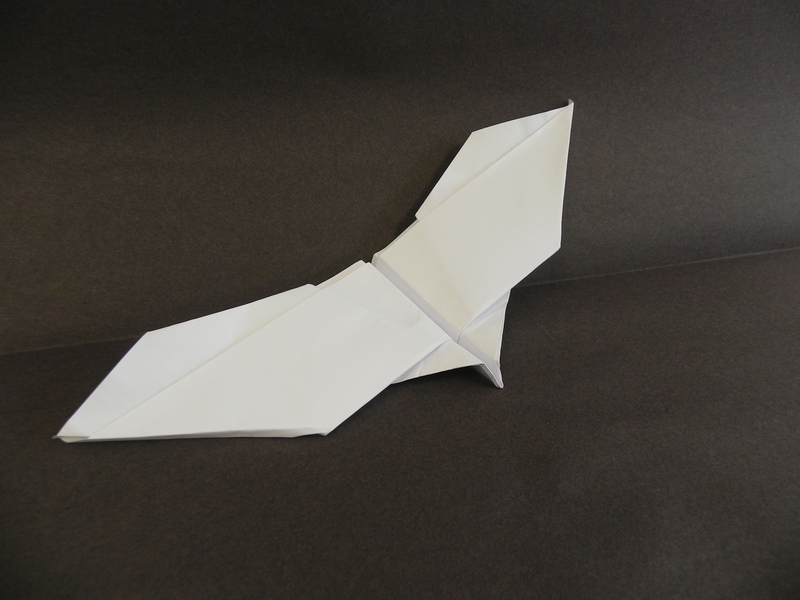 I found a design for an OmniWing glider, but it wouldn’t fly well, so i was messing around with the folds and turned it into a more conventional looking paper glider. It also flies really well. Looping glider. Because of the wing tips facing down and the elevator at the back, when you throw this plane it loops or spirals which is fun. Boomerang. I started widening my search ad looking at boomerangs, it doesn’t really count as a plane or glider, but it’s fun and it stays in the air for quite long, depending on how you throw it. Not just thinking about how well it flies, but the design of the glider, and what I can design on the glider, I am going to use My own take on a glider. It does fly the best out of all of them, but also i think it looks good and I think I will be able to give it a good design as well. 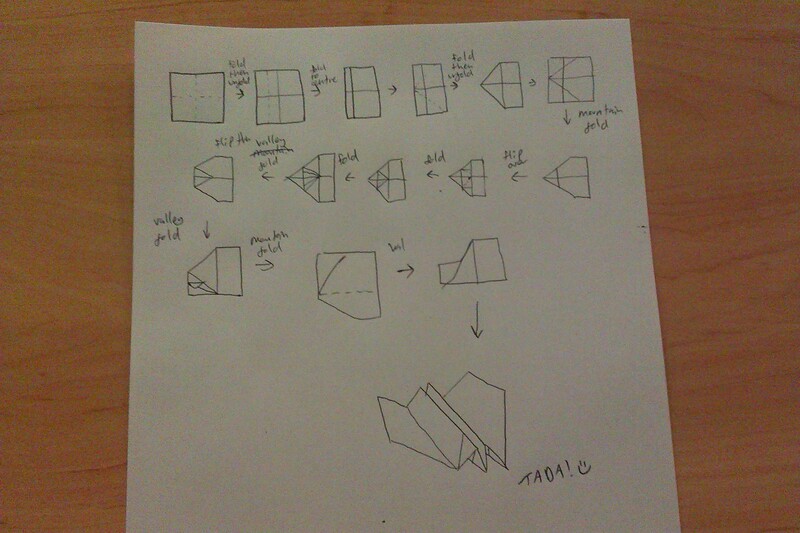 I sketched down the steps on how to make my paper plane so I could easily replicate it again if I need to. 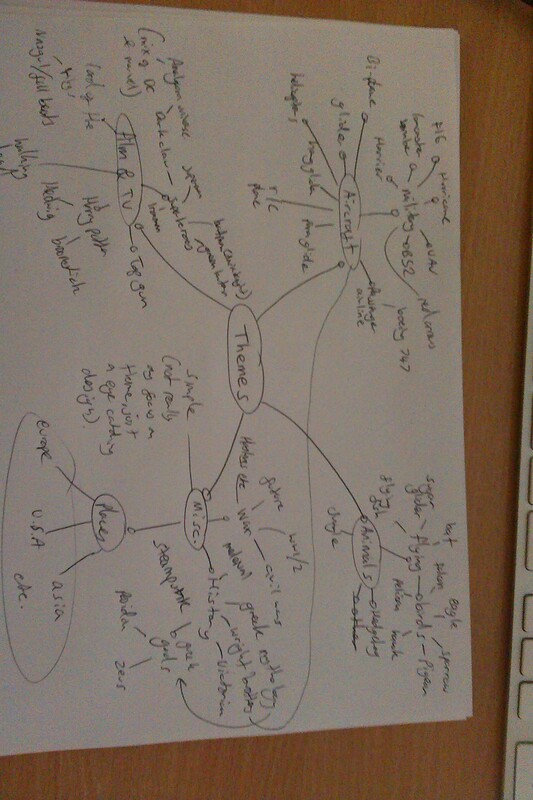 Once I had the plane shape, I did a brainstorm of different themes I could have. Comparing the shape and look of my plane with the ideas I came up with in the brainstorm, I started to think of what design would work well on my glider. 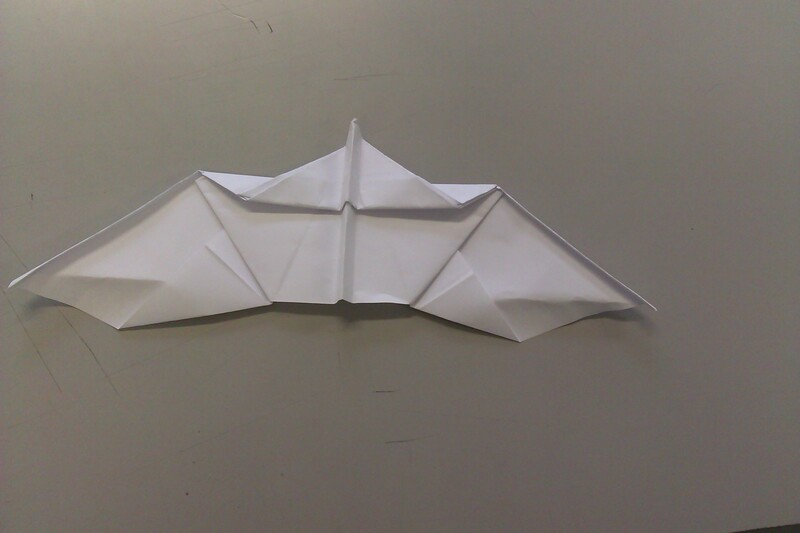 To me, I resembled some sort of stealth aircraft but also a bat like shape. 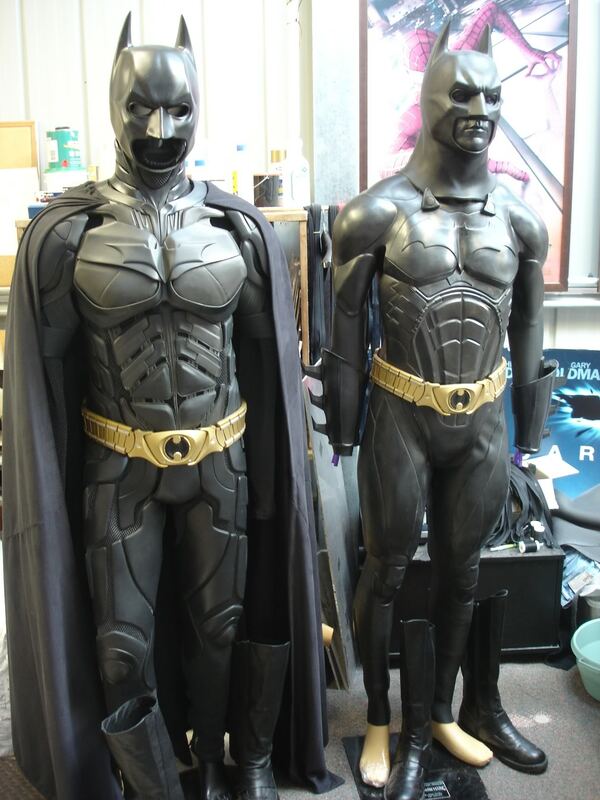 I really liked the idea of doing a Batman, bat or Dark Claw (mix between Batman & Wolverine) theme because I think it would look good and also a comic book/superhero theme would be quite appealing and there is a lot I can think of doing with it. 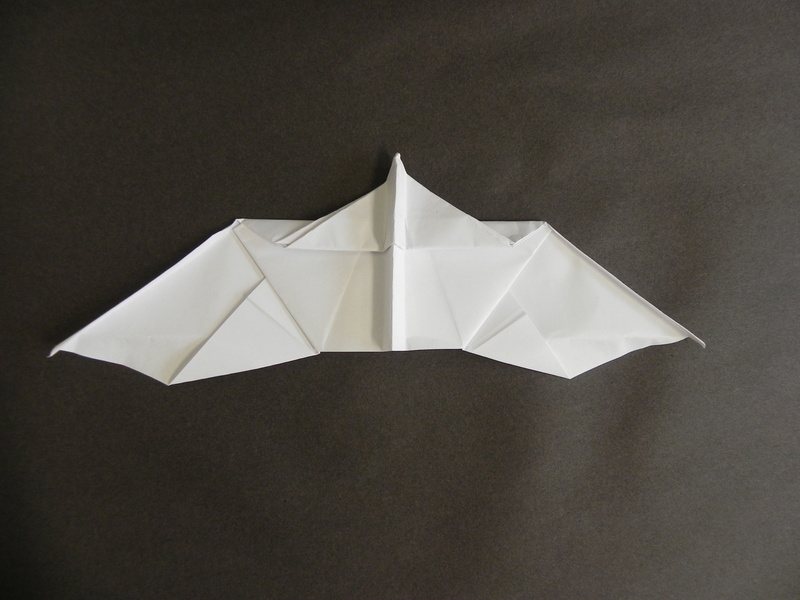 I started to look at other plane designs that looked like a bat and I found a perfect design for me (link below). 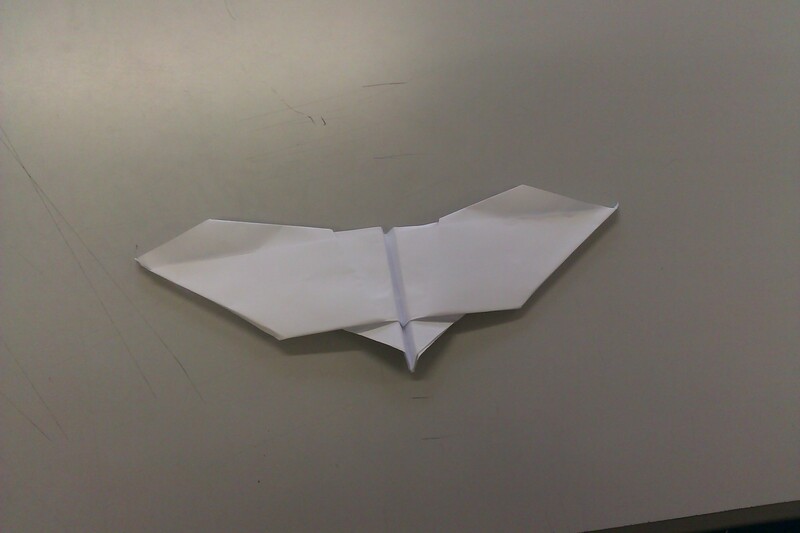 The idea that it flapped while it flew was appealing, but it didn’t look exactly like a bat, which was good. 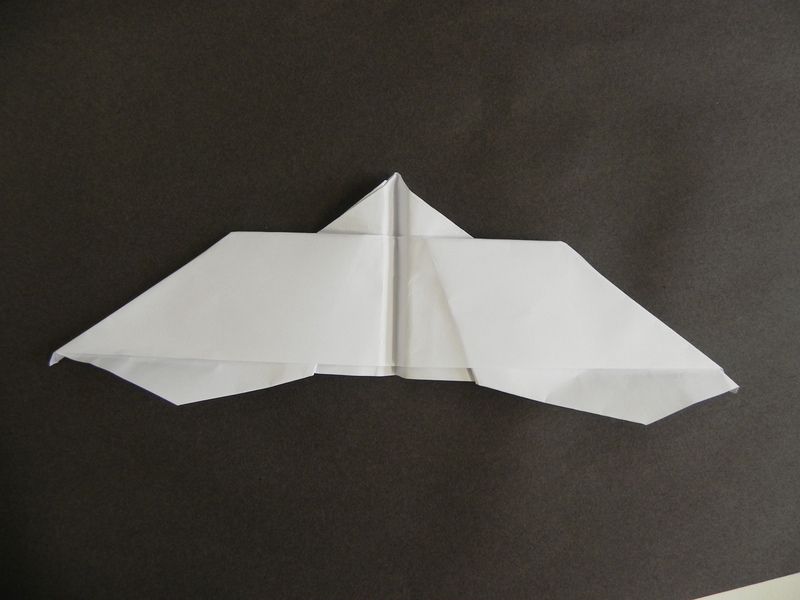 Before I started to research into the design to put onto the plane, I took photos ready to super impose my designs on to, when I come round to making it. I used a black background so it would be easier when I get round to taking the background off in Photoshop. 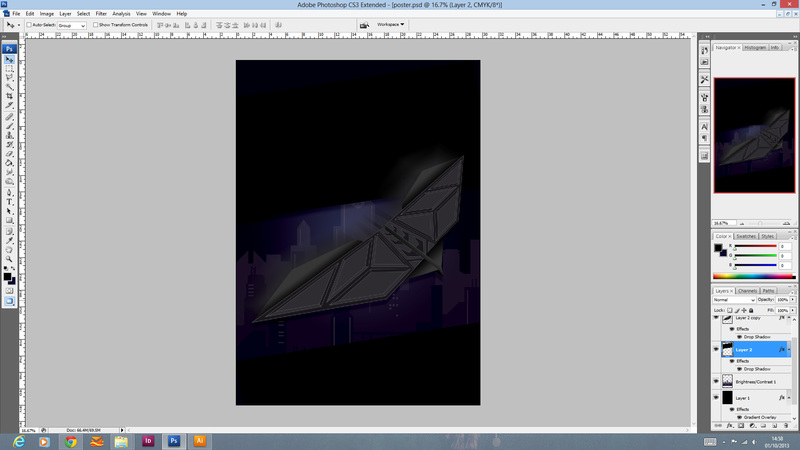 I opened up a couple of photos of the bat and loaded them in Photoshop to take out the background. 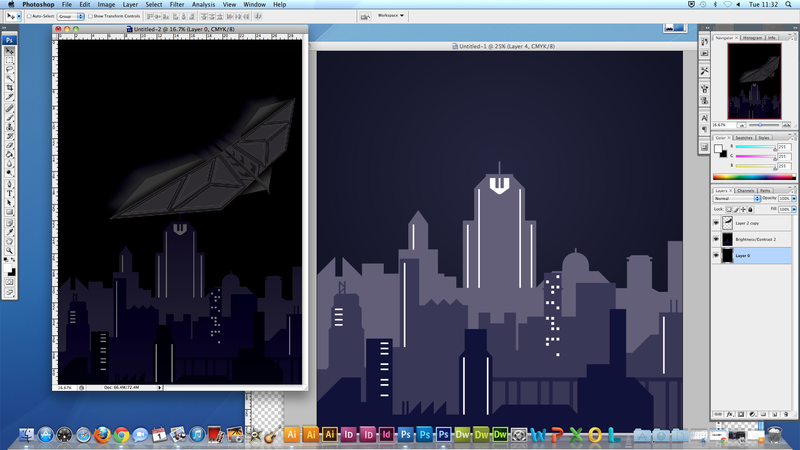 I used the POLYGON LASSO tool to go around the edge of the paper bat. When I finished, I inverted the selection and deleted the background. Then, I went to FILTER > SHARPEN > UN-SHARPEN MASK. Finally, I changed the HUE/SATURATION to make it more white, because it had a slight yellow tint to it. 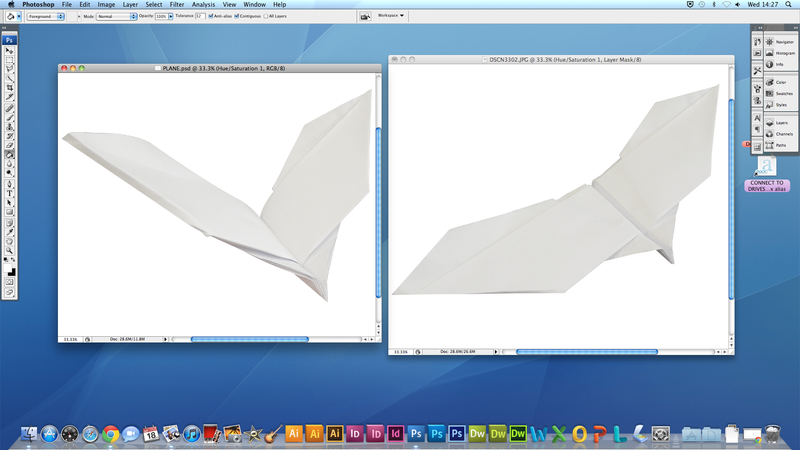 To get the shape of the paper bat onto the computer, I measured up the edges of one wing (I only need to do one because I will then mirror it onto the other wing). 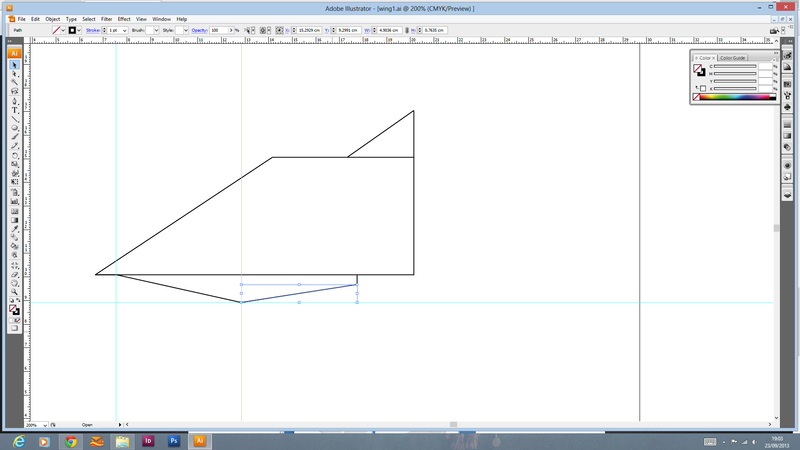 I then transferred the measurements using lines in Illustrator. 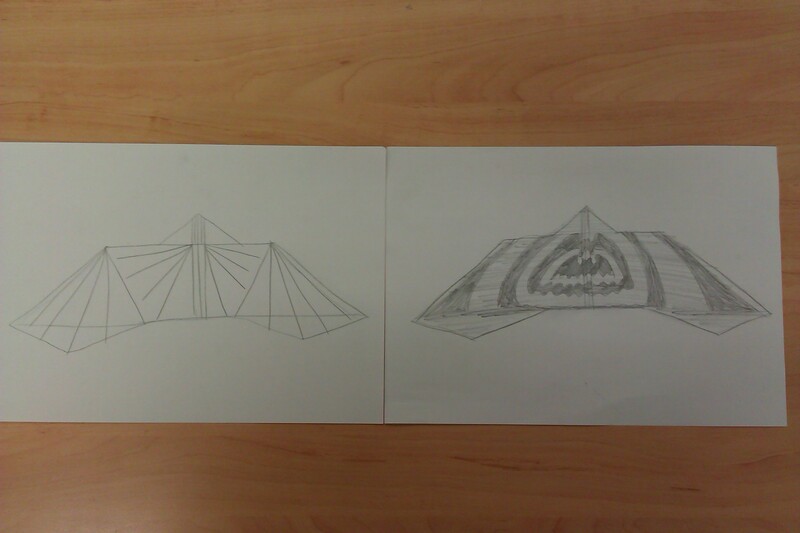 I started to research for the design that would go onto the paper plane. 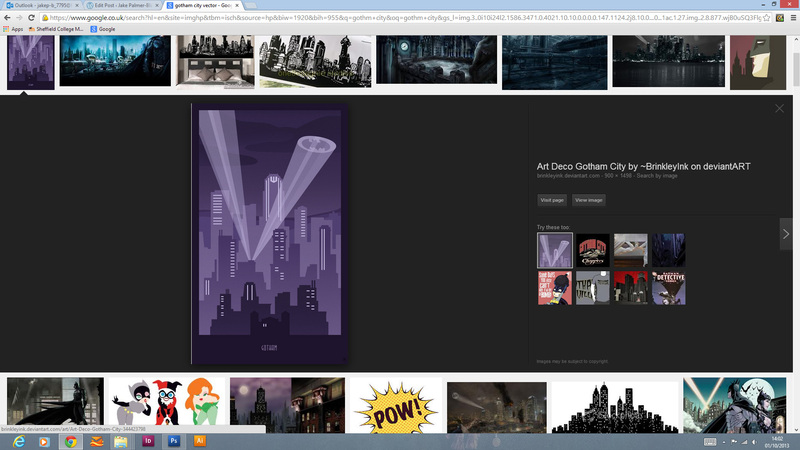 I looked at lots of different images, mainly on the Internet to get inspiration for the design. 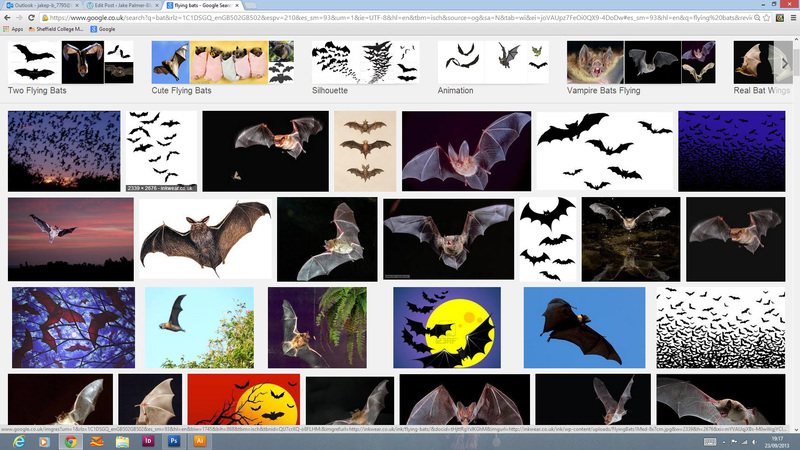 I looked at images of bats and also bat wings and the bones in the wings. I thought a take on that might look good. 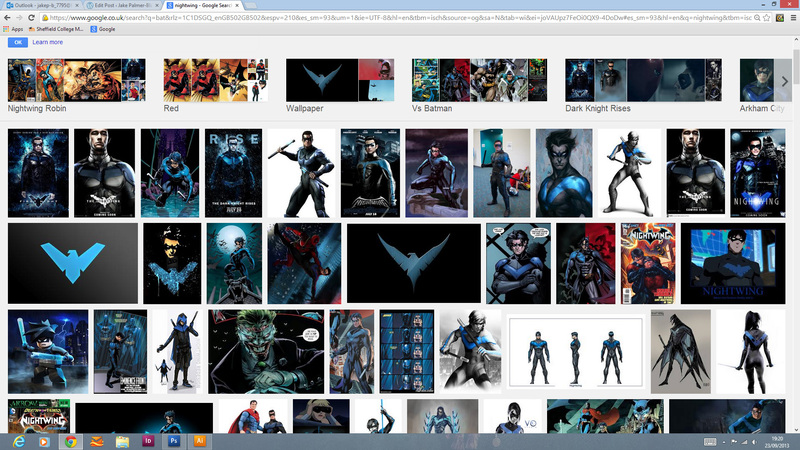 I then referred back to my brainstorm and started looking at Batman, Nightwing and Dark Claw. RIGHT: A vector shape in the similar shape of the bones in a bat wing. 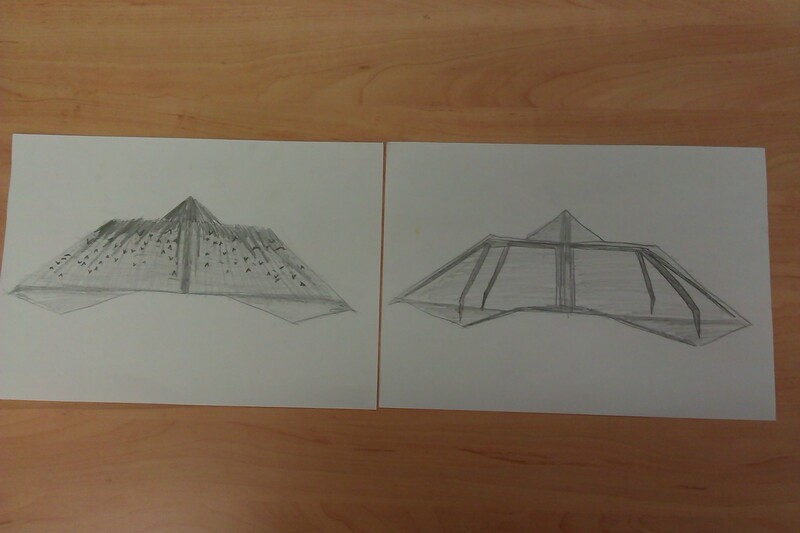 LEFT: Another design based on the bones in a bat wing, but less obvious, with more line. 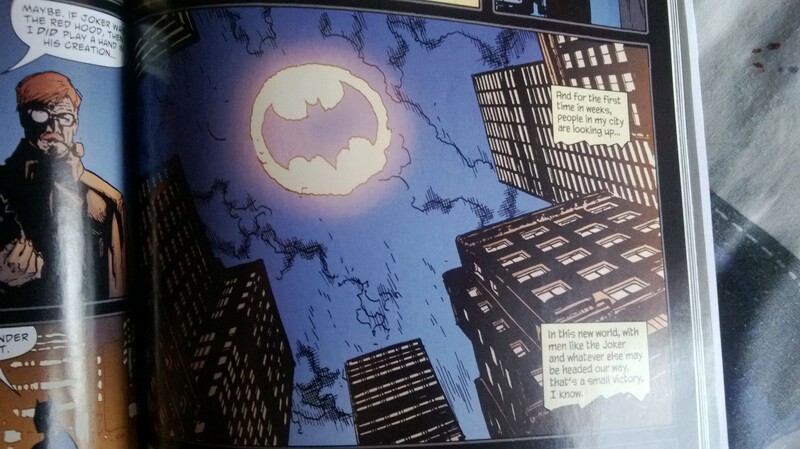 RIGHT: A silhouette of a bat (or the Batman logo) in the middle, with outlines of it getting bigger and bigger. I didn’t necessarily want a design purely based on a bat or Batman, but more of a bat/Batman INSPIRED design, so it wasn’t something specific. 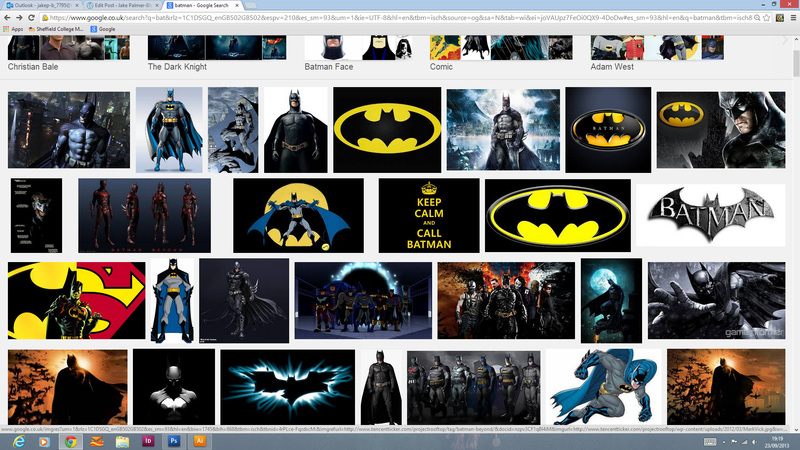 While I was looking through various batman images and searches, I started to notice the shape and designs of Batman’s ‘costume’ (I looked at the evolution of Batman’s suit and thought the Dark Knight’s ensemble would work best for the idea I had in mind) and thought I could try to incorporate that into my design, as it’s not specific to Batman but in that style, it will also make it look more like a plane which is what it actually is rather than an obvious origami bat. 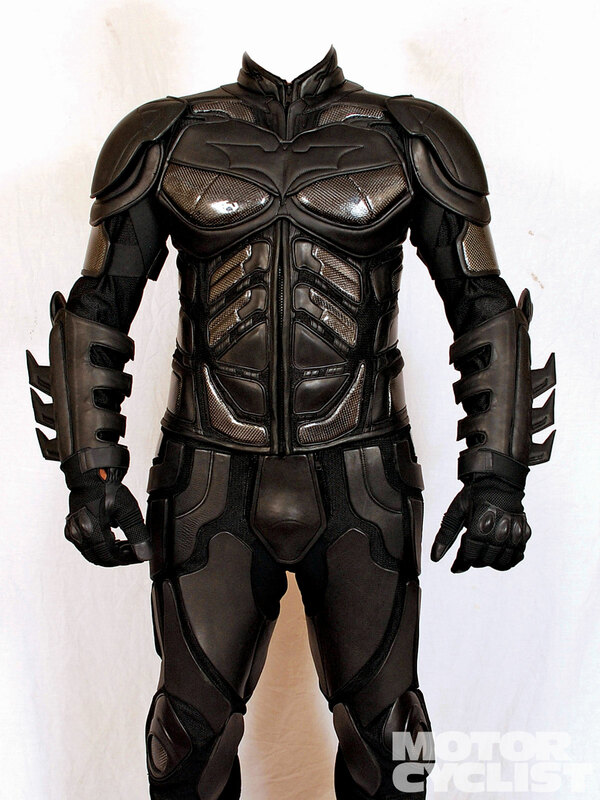 I then remembered a conversation I with my friend, who has a motorbike, who was wanting a Batman motorcycle suit, so I looked that up as well and took inspiration from that also. 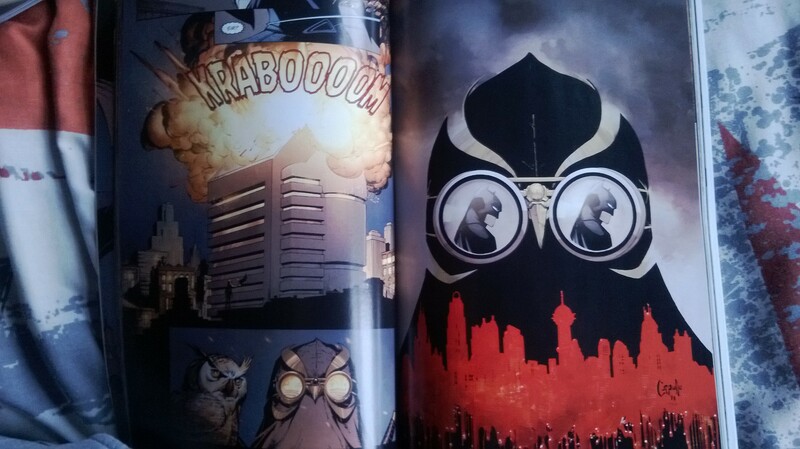 I liked both the ‘splatter’ design and the Batman suite inspired design. But I think the Batman suite design is better because I wanted it to look as though it is a plane or aircraft which resembles a bat/Batman. 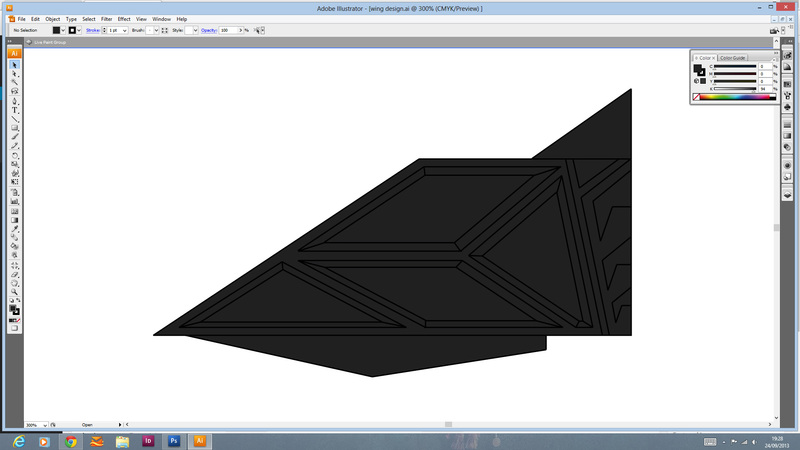 I then defined the actual shapes that would go onto the wing by adding more detail. I tried incorporating different parts of the suit into the design without making a replica of part of the suit. For example, I got inspiration for the embossed looking shapes from the chest and abdominal panels on the suite, also the shape of the forearm blades on the suit are also incorporated into the wing. 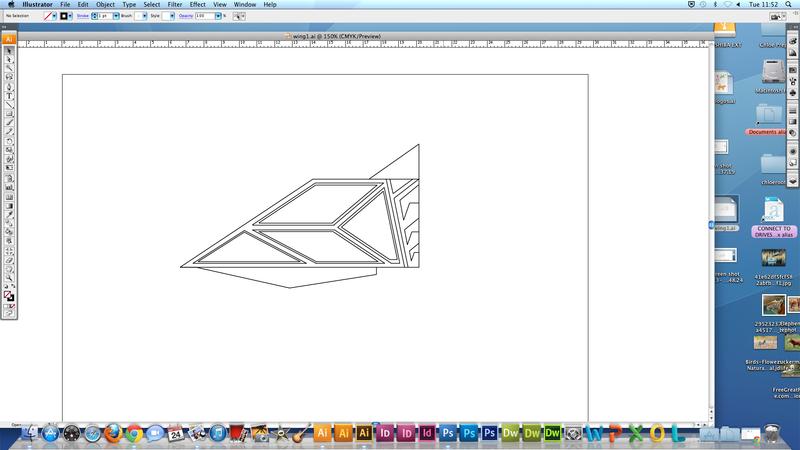 I opened up the wing shape I previously made on Illustrator and copied the shapes of my sketch onto the wing. 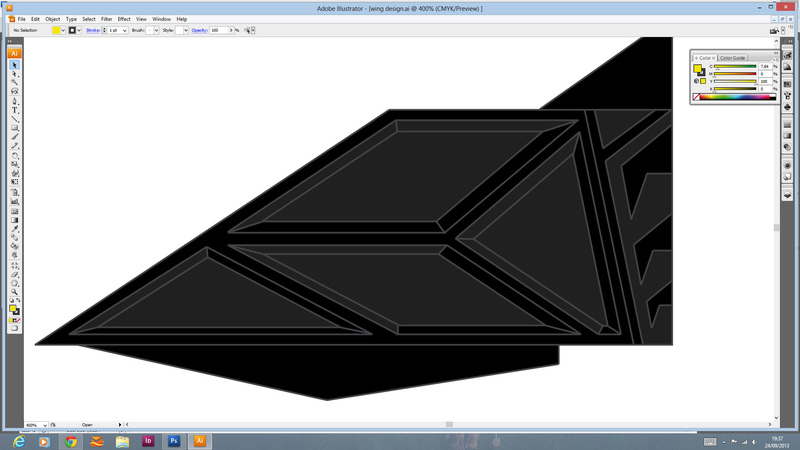 I added the inner shapes by duplicating each shape and scaling them down. 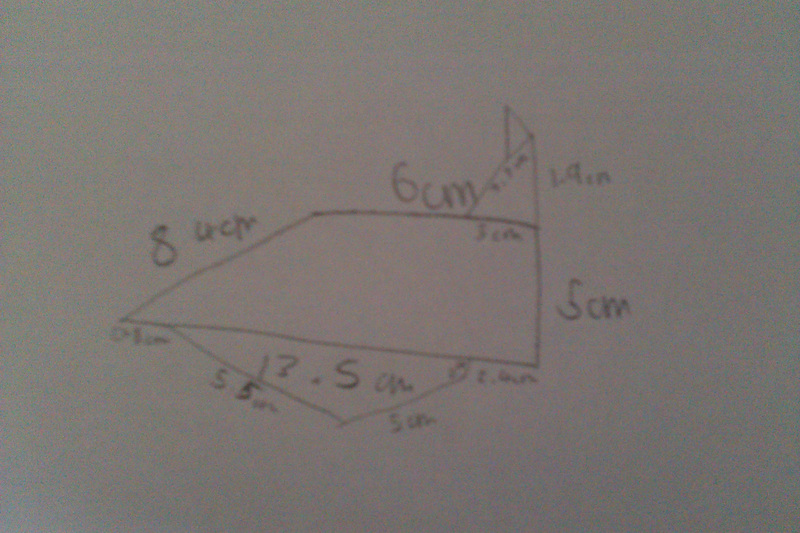 I experimented with the size of the inner shape until I found the size that looked best. Once I worked out the size of the inner shapes, I joined the inner and outer shapes at the corners to give it a beveled look, like the armor plates on the suit. Before I added any shading or other colours, I tried having it all filled in grey and the details in black, but it looked plain, not that I want it to be too in your face, but it didn’t really stand out. I then tried having it the opposite, so the background was black with the details grey. Again, it did look quite plain, but I preferred the back colour being black. I referred back to my sketches by changing the ‘plates’ to a grey, but I didn’t really like it, probably because it was too bright. 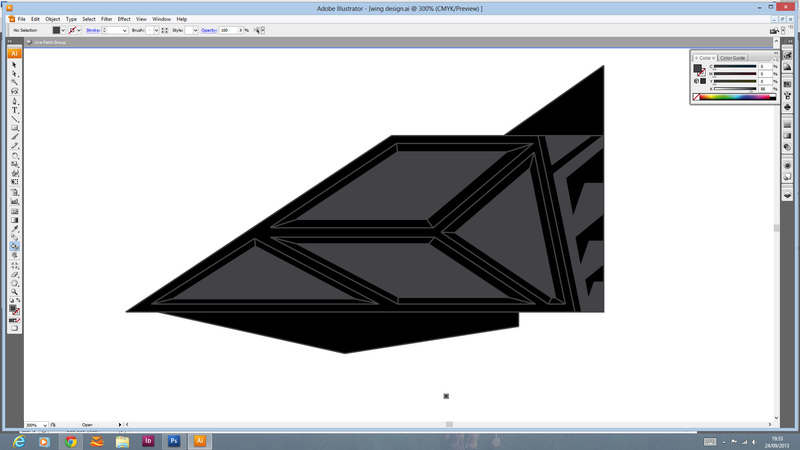 So I darkened the grey, which made it look better straight away, and then I made the shapes look raised, or beveled by making one or two of the sides the grey, while keeping the remaining sides black. 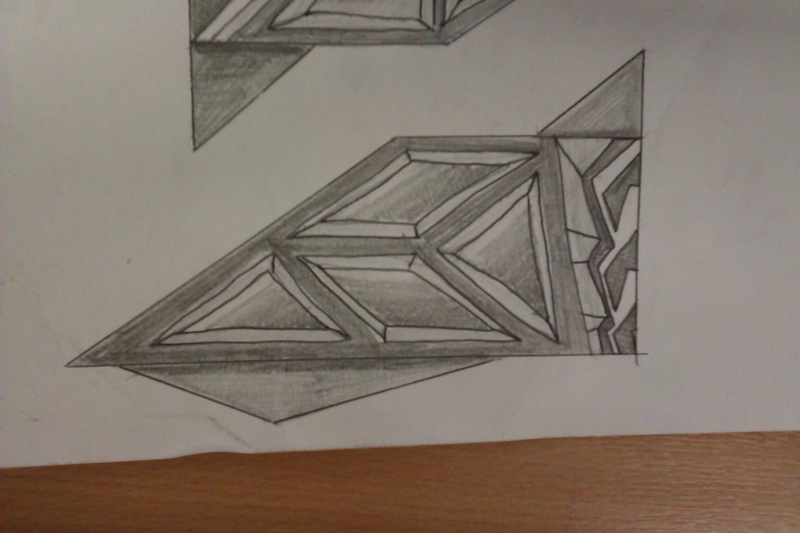 This made it look more 3 dimensional, rather than just flat. 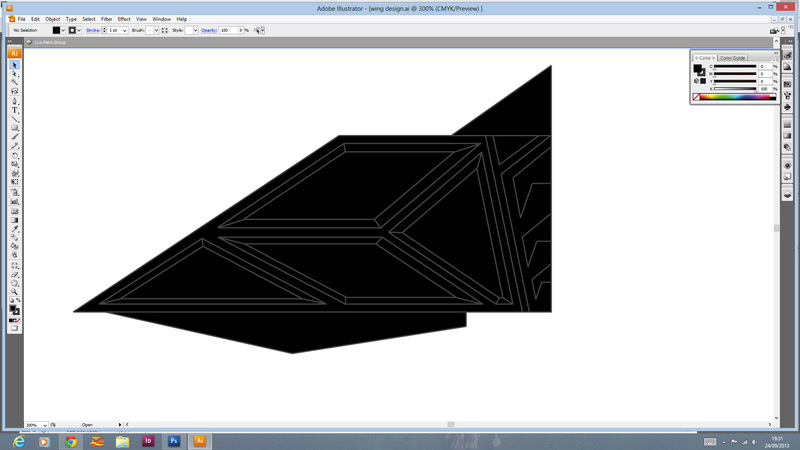 I do like the look of it like this, but I will try adding a texture to it, maybe a metal and/or carbon-fiber finish. 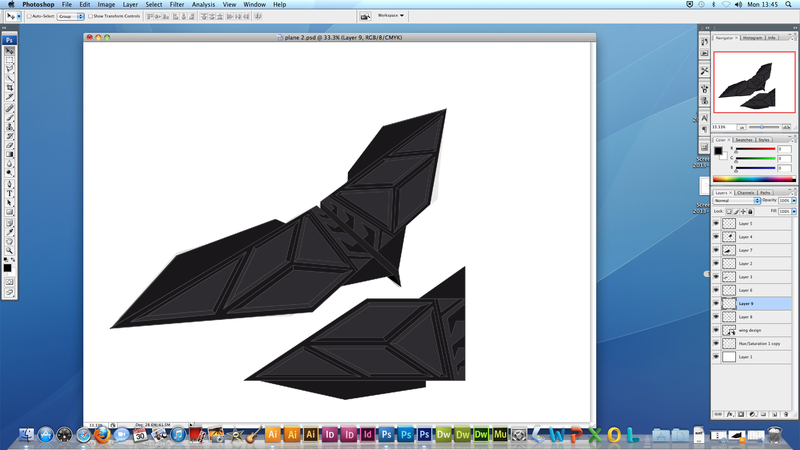 I placed the wing design into the Photoshop document where I cut out the plane. 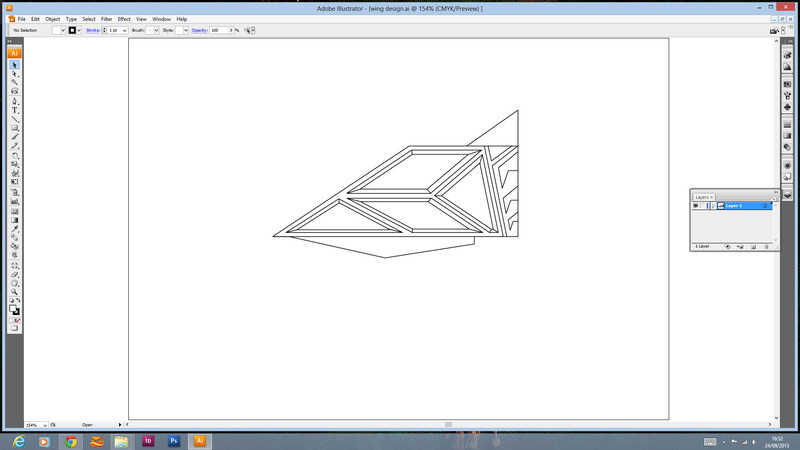 I used the transformation tools to skew, rotate and distort the design into shape. Because it is quite a detailed wing, in terms of shape and folds, it was difficult for me to do it all as one segment, so I duplicated each section of the wing, and transformed them separately. 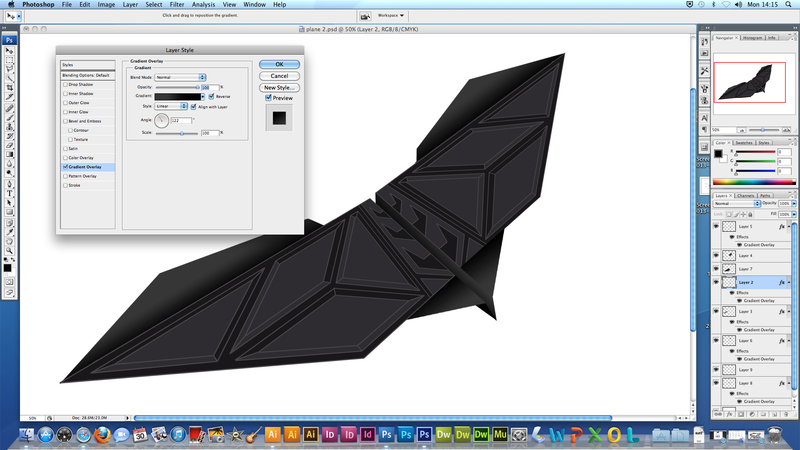 I then made shapes for the centre section of the plane (where you hold it) using the polygon lasso tool. 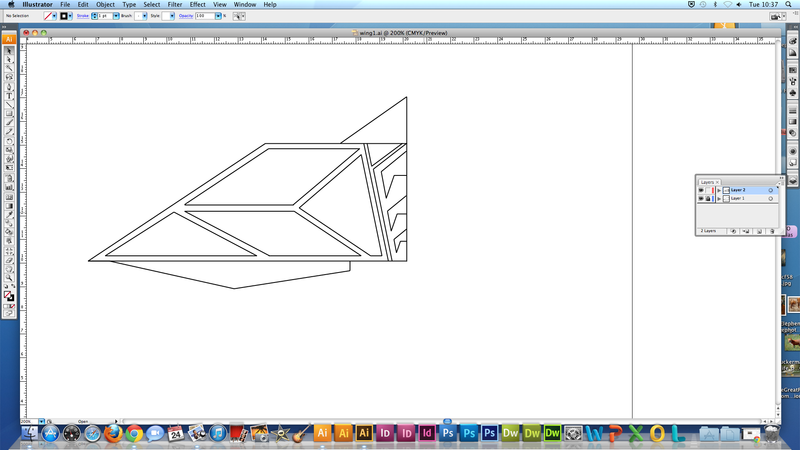 My plane was starting to take shape. 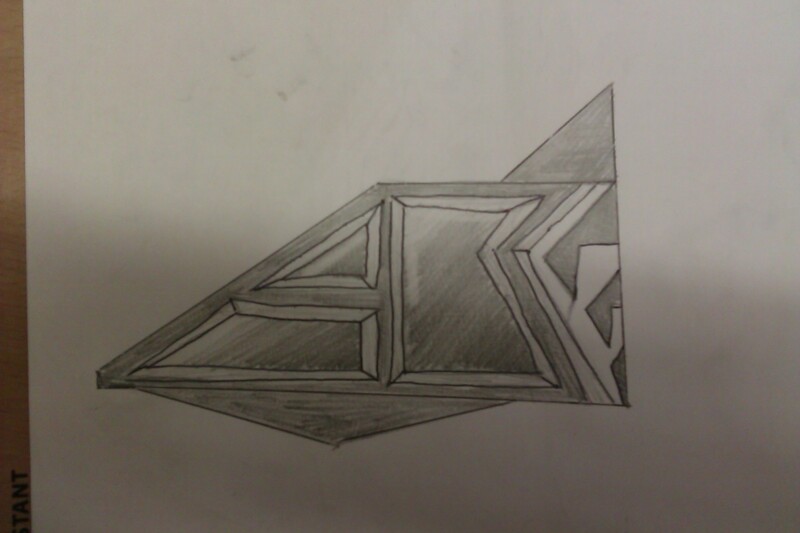 I then added shading to parts of it to make it look textured. I was thinking of adding a texture to it like metal or carbon fibre, but now, with the shading and the design, I don’t think it needs it. 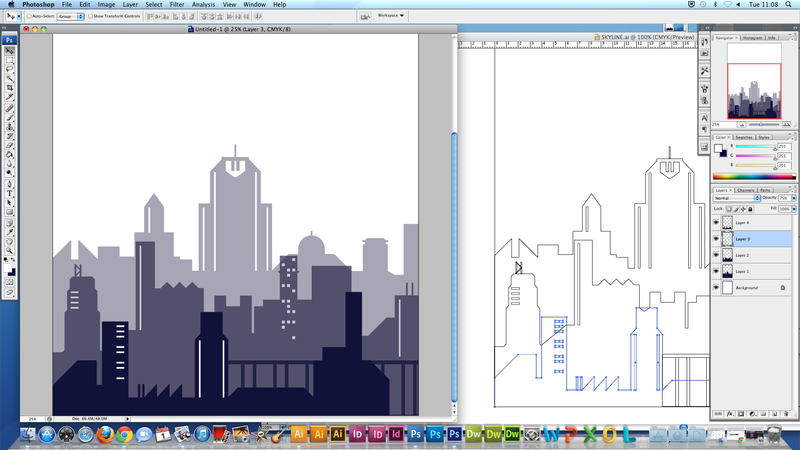 Once I had the plane finished, I started on the poster. 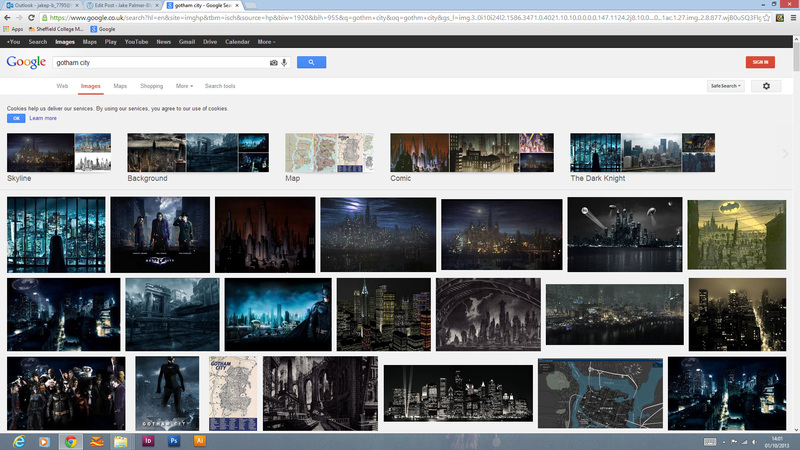 I knew I wanted like a landscape of a city, or Gotham City, so I looked through Google images for images I could use. 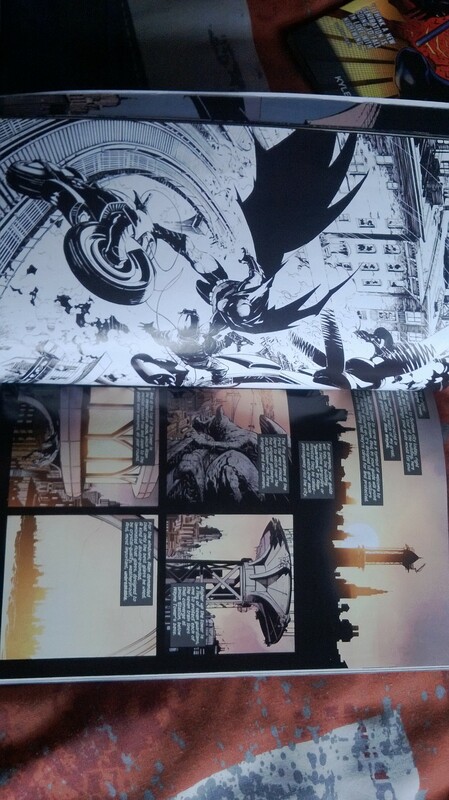 I also looked through some comic books for inspiration. I found this vector image which I thought looked good. I also thought it would work well with the plane on the poster. I was going to use the image but it was really small, so I used it as inspiration to make my own. 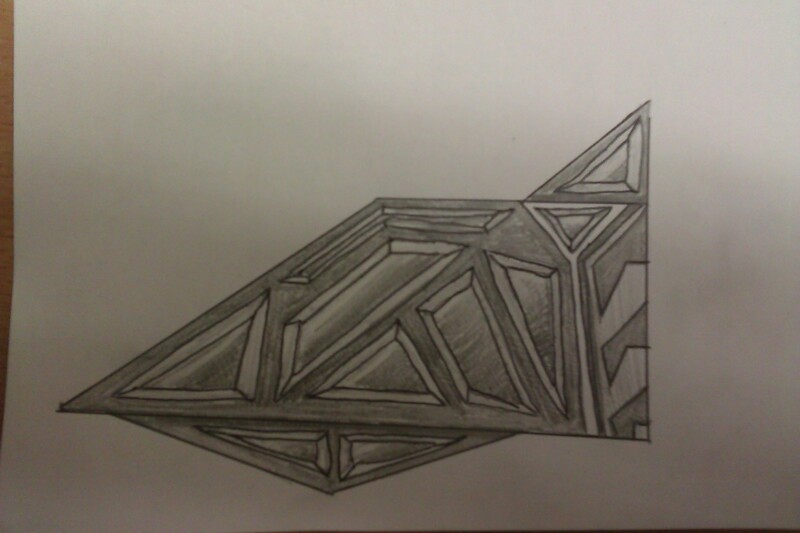 I started of by drawing some building shapes that I could use. 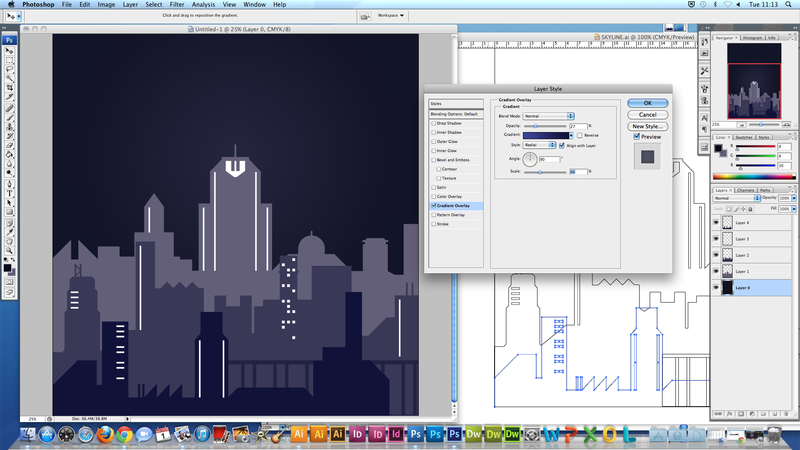 Also taking inspiration form images of Gotham City and mainly the vector image. I made three sections, like the original image. 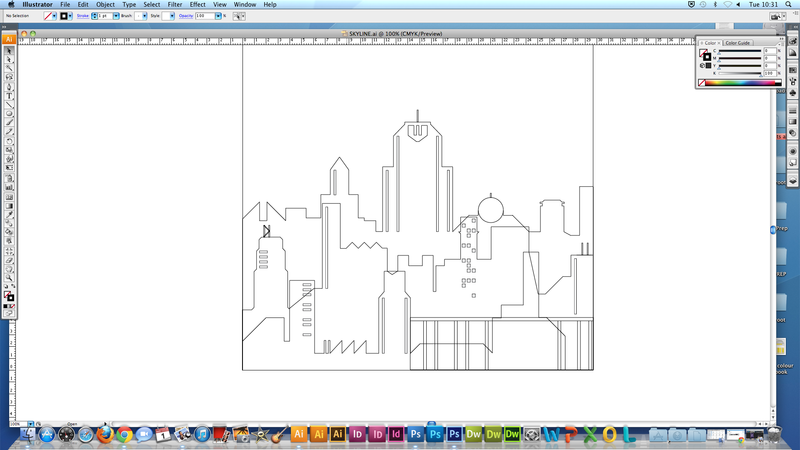 Once I finished the outline, I placed each layer into Photoshop. I chose to fill it in a very dark blue/purple colour because i liked the colours on the original image which were similar, and also, I think it would work well with the plane and a black background. I repeated that step with each layer. 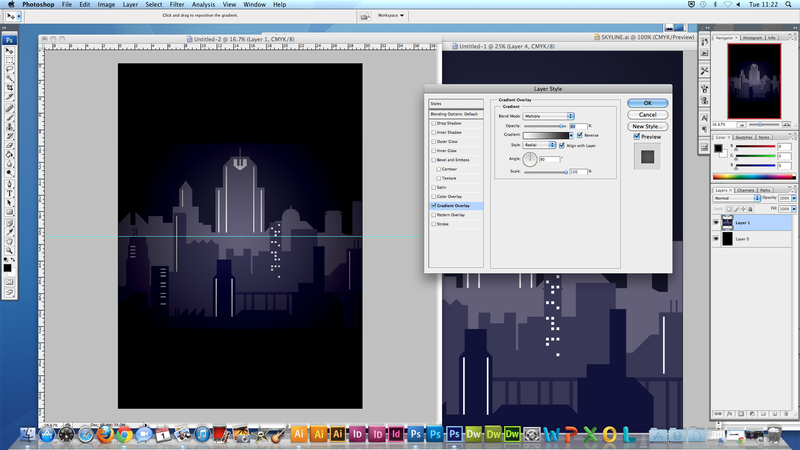 Once all the layers were in, I changed the opacity slightly each time, so I could see each layer. When I lowered the opacity, those were the type of colours I wanted, so I selected each colour for each layer and changed each layers colour. 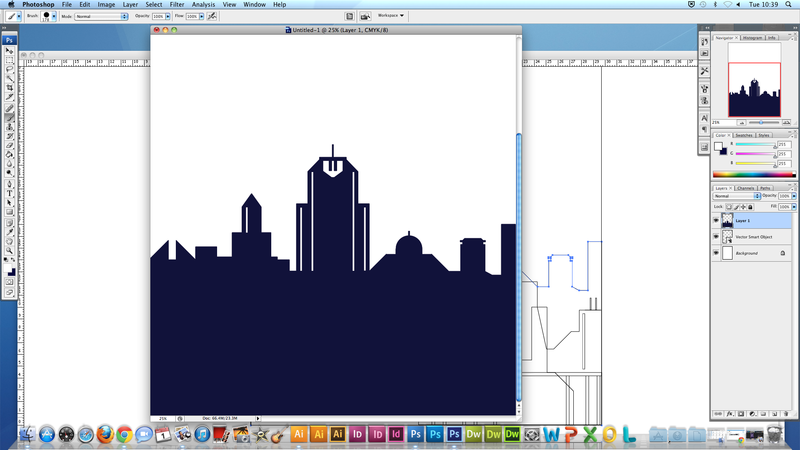 I then added a radial gradient as the background, going from black to dark blue/purple. 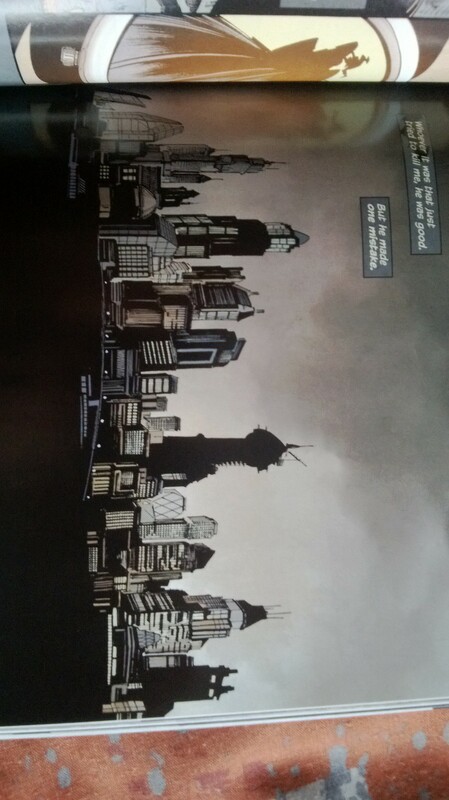 I used the background colour because it worked with the colour scheme of the sky line. 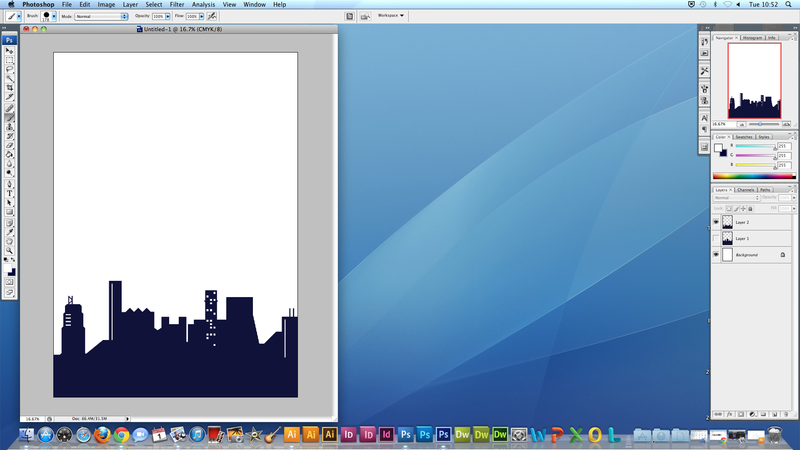 I opened up a new Photoshop document for the poster and I placed the background into it. I made the background black, and positioned the sky line in the middle so there was a border for text. Just to see what it would look like. 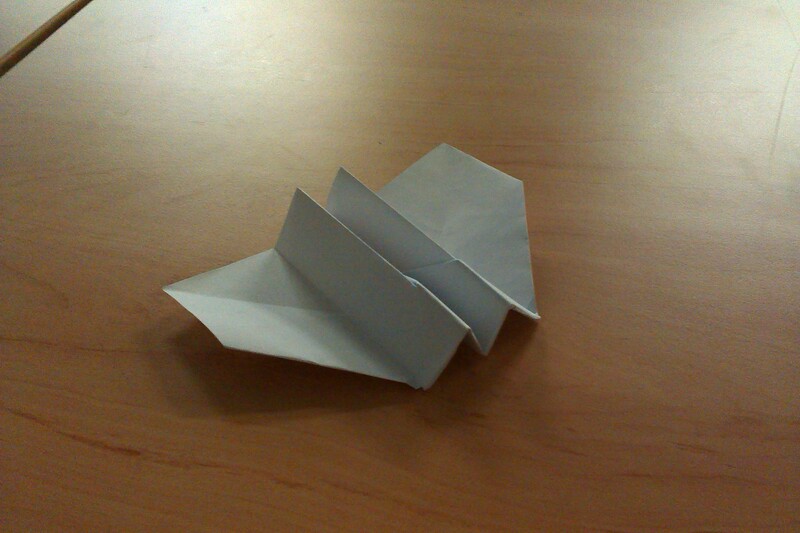 I then tried it at the bottom with the plane above it, which worked better in my opinion. I placed the plane onto the poster, duplicated it and gave the copy a motion blur so it looked like it was flying in the air. 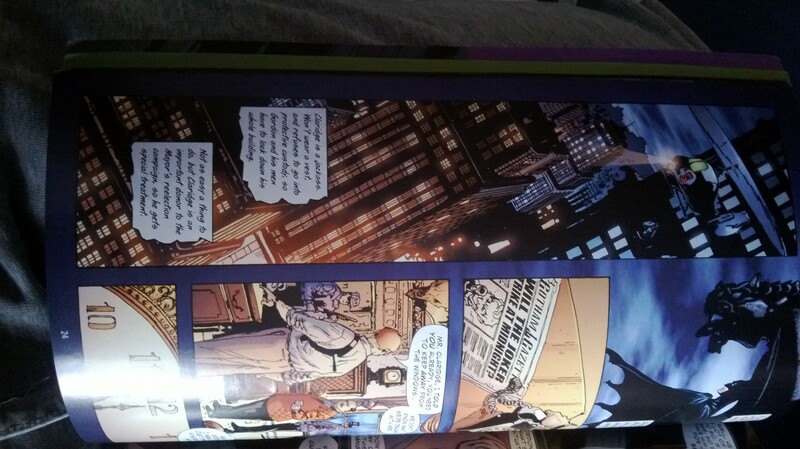 Thinking about the text, I didn’t think the sky line at the bottom of page looked good. It looked more like it had just been put there for the sake of it. I then referred back to the comic book research and thought that the comic strip style could look good, so I made 2 black rectangles and rotated them slightly. This made the backdrop resemble a comic strip. 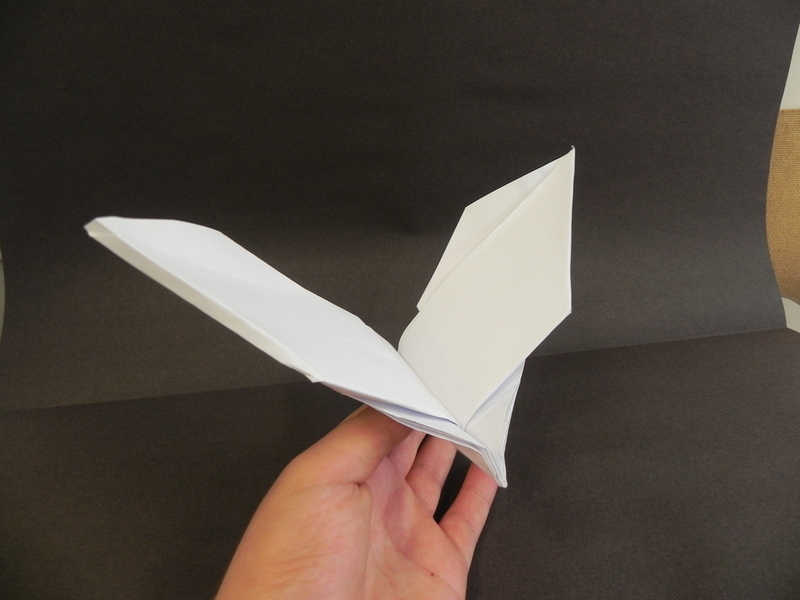 I placed the plane so it looked as though it was flying out of the page, rather than it all just boxed in in the centre. 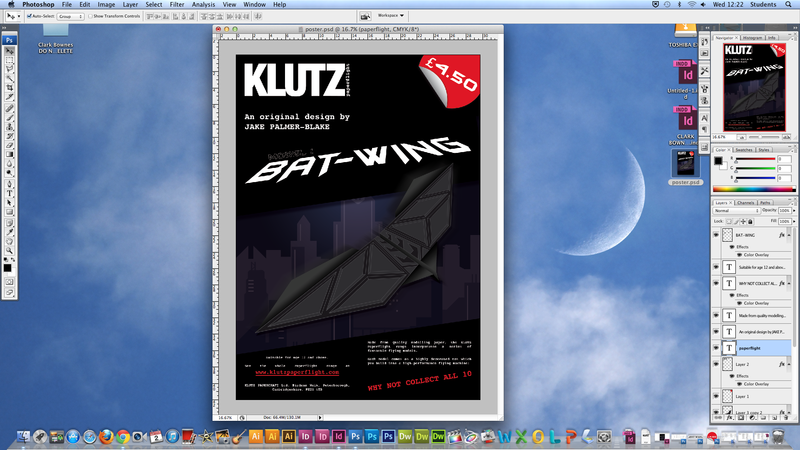 I was happy with the layout, all I had to do was put the Klutz logo and the text onto the poster. 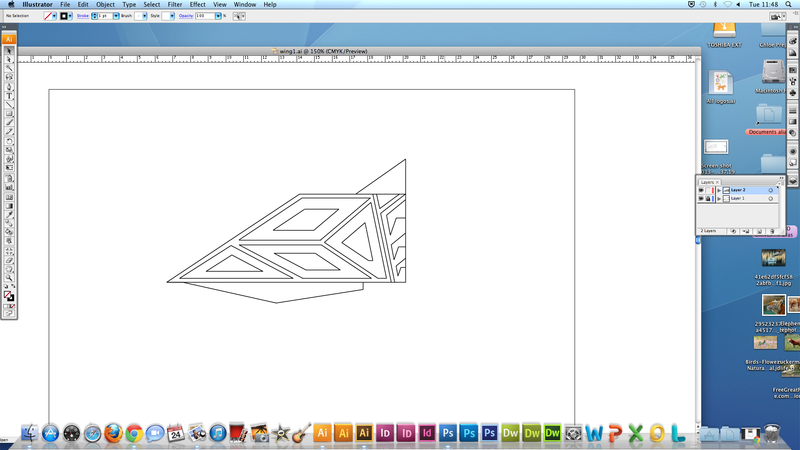 I imported the design into InDesign. 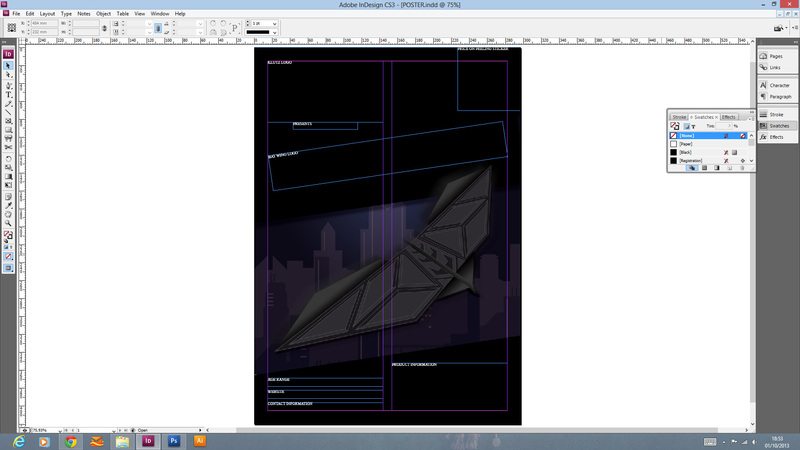 I experimented with different layouts and grids, then marked out where the text and logos would go. I inserted the copy into the poster.